PANAREA by Quagliotti - contemporary jacquard in subtle stripe called MALFILE with solid sateen (RASO) border. PANEREA is shown here with CRISTALLO duvet cover (discontinued collection). 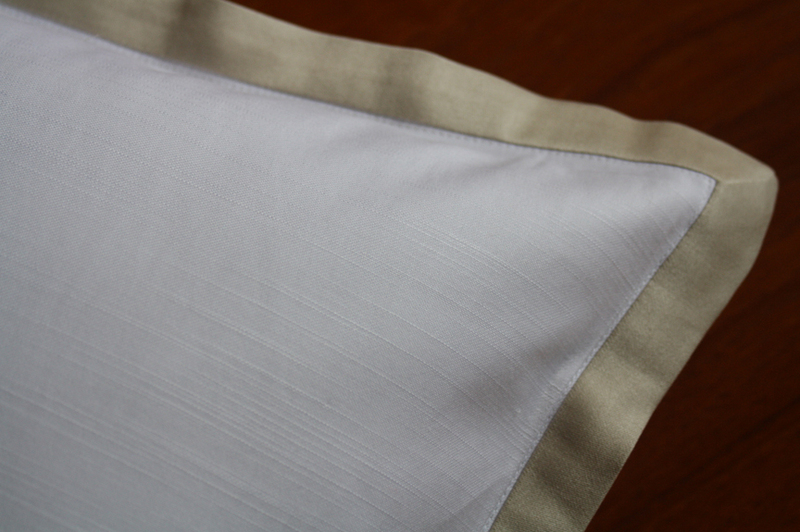 All Quagliotti linens are custom made to order in Italy with delivery in approximately 6 weeks (excludes August and Christmas holiday). Panarea Queen Flat Sheet 95"x118"
Panarea King Flat Sheet 118"x115"
Panarea Standard Pillowcases (Pair) 21"x32" or Queen Pillowcases 21"x36"
Panarea King Pillowcases (Pair) 21"x42"